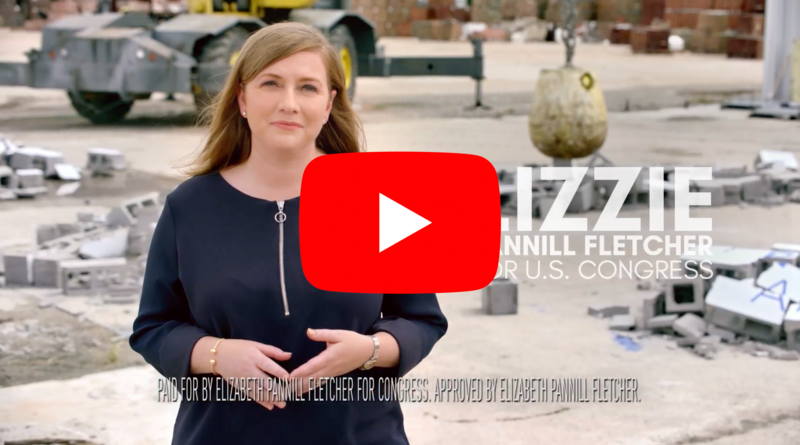 Houston, Texas – Today, Lizzie Pannill Fletcher, Democratic candidate for Texas’ 7th Congressional District, released her second ad of the General Election, highlighting incumbent John Culberson’s efforts to undermine progress in our health care system. “Wrecking Ball” compares Fletcher’s willingness to work across the aisle with Culberson’s partisan record on health care—including his vote in support of the American Health Care Act, the GOP bill that would have allowed insurance companies to charge five times more for coverage for people age 50 and over and discriminate against people with pre-existing conditions. This ad, Fletcher’s second commercial of the General Election, will run on broadcast and cable starting today. Lizzie is the Democratic nominee in Texas’ 7th Congressional District, a district that Hillary Clinton carried in the 2016 election. CNN, Sabato’s Crystal Ball, and Daily Kos all recently changed Texas’s 7th Congressional District to a key “toss-up” race in their 2018 election rankings. Lizzie is the first woman partner at AZA, a Houston law firm, where she has represented businesses and Houstonians from all walks of life, helping them find solutions to complex problems. She has been recognized by her peers as one of the ‘Best Lawyers in America’ in U.S. News and World Report. She co-founded Planned Parenthood Young Leaders, and currently serves on the boards of directors for Writers in the Schools (WITS) and Open Dance Project. and Congress could help fix it. But John Culberson is taking a wrecking ball to it. to discriminate against people with pre-existing conditions.